In AD122 the Emperor Hadrian ordered a mighty frontier system to be built across Britain to defend the Roman Empire from the barbarians to the North. The result was Hadrian’s Wall, a 73 mile barrier stretching from the River Tyne in the east to the Solway Firth in the west. 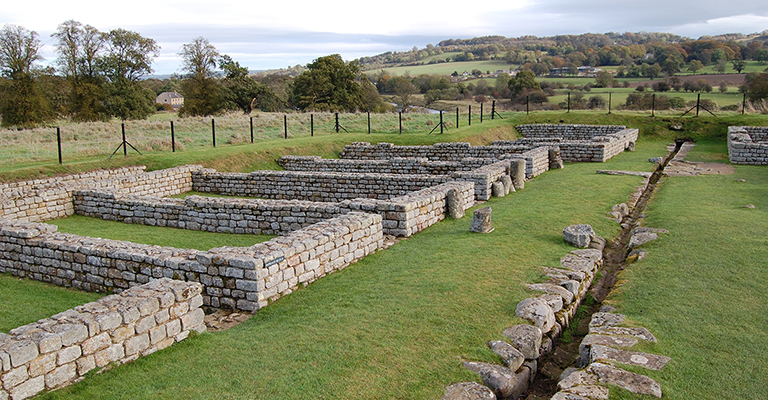 Segedunum (‘strong fort’) stood at the eastern end of the Wall and was home to 600 Roman soldiers. For almost 300 years Segedunum guarded this important part of the frontier. Today, Segedunum is once again the gateway to Hadrian’s Wall: the ideal place to explore the incredible story of Roman life in the north of England. Temporary exhibitions and events take place throughout the year.